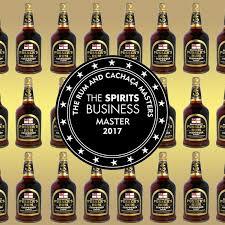 “In just one year, we’ve more than doubled those U.S. markets, and there seems to be no end in sight to the expression’s expansion as the core of rum aficionados keeps growing,”said Pusser’s CEO, Gary Rogalski. 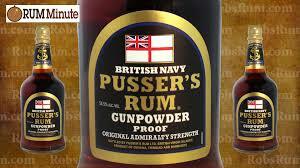 Pusser’s Gunpowder Proof, the last rum issued by the modern Royal Navy to its enlistees in 1970, launched in seven U.S. markets last year on Black Tot Day, July 31. Celebrating its one-year anniversary, Gunpowder Proof, an aged, overproof expression at 54.5 percent alcohol which was the formula last used by the Admiralty, has expanded to 18 domestic markets. The unique component of Gunpower Proof is rum distilled from vintage wooden pot stills, a process that provides a depth of flavor far beyond that of mass-produced rums distilled from “modern” semi-automatic metal column stills. The two existing wooden pot stills first put in use in the early 1700s and located in Guyana’s Demerara River Valley, impregnate the rum with esters (naturally occurring organic flavoring compounds) far beyond those of any other rum. What results is a truly unique, award winning taste.